Auray Gourmet was founded in 1999 as Auray Cheese Shop. The store is named after Auray, a town on the Atlantic coast of Brittany in France. Benjamin Franklin had first landed here in 1776 during the War of Independence to seek aid from Louis XVI. Current co-owner Carolynn Dilworth bought the business in 2008. 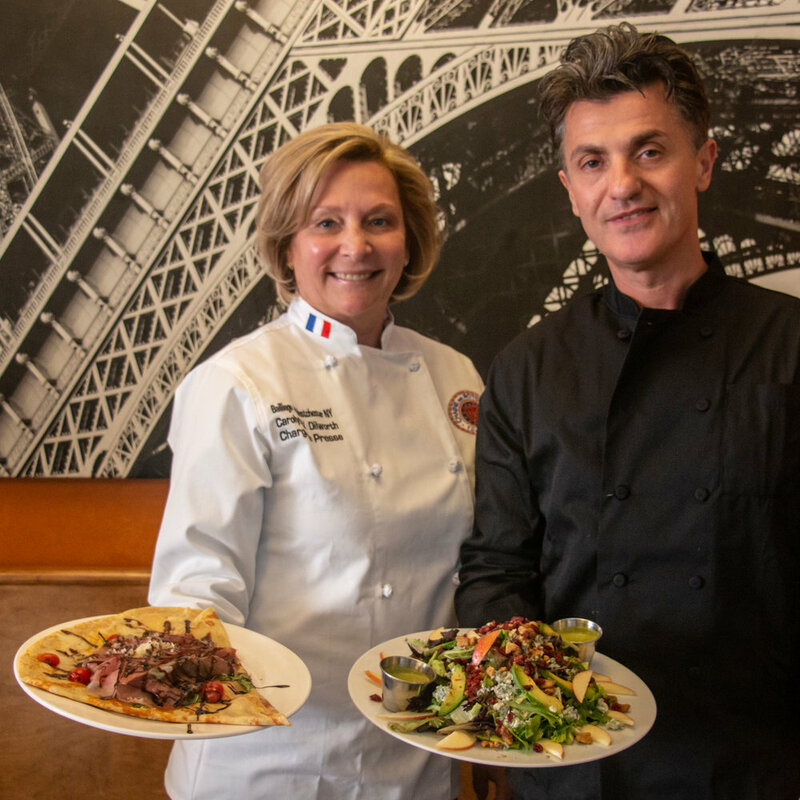 Carolynn brought experience in gourmet cooking and catering, both in the U.S. and Hamburg, Germany, as well as business skills from her former life as a a commercial and investment banker in New York, Frankfurt and Hamburg. The cheese shop changed local In early 2008 when they decided to expand the business concept and find a new location. The new concept would not only expand the product offering, but also have a full kitchen, offer in-store dining and have room to support catering, gift baskets, party platters and internet sales. 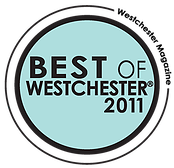 On August 4, 2008, we opened our new location at 144 Larchmont Avenue in Larchmont, NY. For over 10 years, Auray Gourmet has set the standard for fine catering and event services in Larchmont N.Y. and surrounding areas. The caterer of choice for discerning clients across a spectrum of industries, Auray offers a personal touch and professional guidance that leaves a distinctively refined mark on your functions. Auray’s Culinary Team, led by renowned Corporate Chef Yanni Triantos, plans and executes unique and inspired menus for all types of occasions with a meticulous eye for detail. Auray can cater offerings for events big and small, from start-to-finish catering to event coordination, venue selection, decor, wait-staff, entertainment, and more. Auray’s Catering Team can customize our offerings to any specific requests, always creating lasting memories for events ranging from large corporate meetings to intimate professional gatherings. Let us help make your next meeting or corporate event memorable for your clients, employees, and guests. Auray’s Catering Team can also pack a sumptuous lunch for your guests or colleagues. All sandwiches, wraps, and salad selections can be prepared “to go” in a convenient lunch box. Office powwow? Boardroom luncheon? we have you covered by providing a selection of affordable breakfast and lunch options reflecting Auray Gourmet’s commitment to premium quality ingredients and dishes. Whether for your special day, important anniversary, or congratulatory celebration, Auray’s Catering Team will make your special day truly one to remember. It is our pleasure to work with you to create the perfect tone and ambiance with food, design, and presentation. From fine catering at large events to our renowned personal chef and on-site chef services, and even our prized catering stations, Auray Gourmet can inspire your guests at events large and small with our decadent services. Omlete Syle eggs with Cabot cheddar, bacon and tomato on a Brioche roll. Two poached eggs served with avocado, fresh tomatoes, crumbled goat cheese on toasted multigrain bread. Two eggs over easy or scrambled on a slice of sourdough toast with bacon, avocado, crumbled goat cheese and arugula. Freshly scrambled eggs with scallions and organic smoked salmon. Served with salad, fruits or potatoes. 10 year-aged NY State cheddar, caramelized onions, roasted red peppers, baby spinach, topped with sliced avocado. Served with salad, fruits or potatoes. Cremini Mushrooms, sautéed onions, and mozzarella. Topped with aged Parmesan, white truffle oil and balsamic glaze. Served with salad, fruits or potatoes. Leeks, bacon and Raclette cheese. Served with salad, fruits or potatoes. Egg white omelette with baby spinach, mushrooms, caramelized onions, chopped tomatoes, topped with sliced avocado. Served with a side of with mixed greens or fresh fruit. 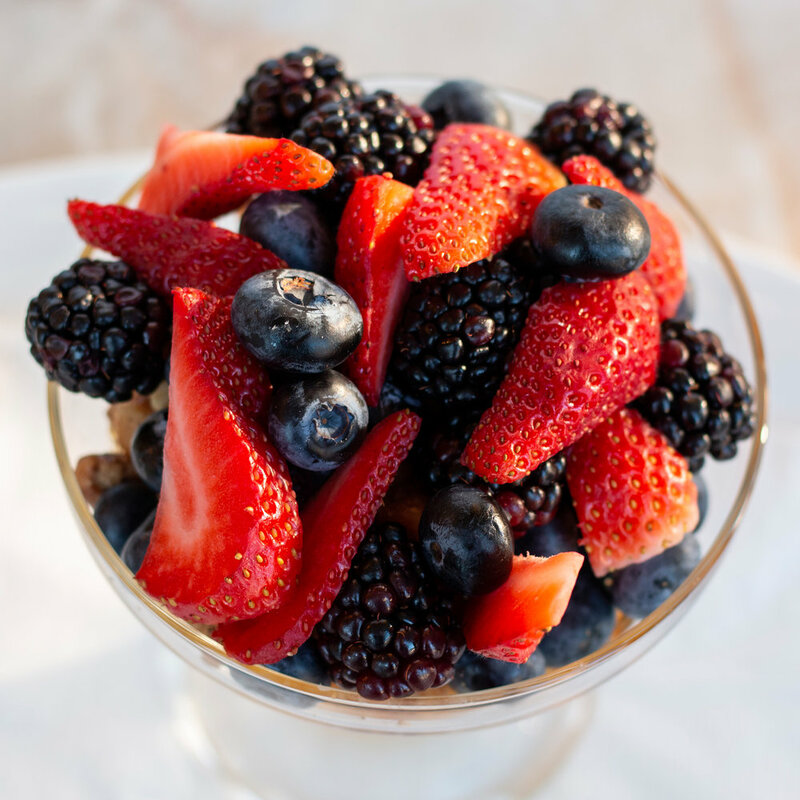 Cup of Greek yogurt toped with honey, walnuts and fresh berries. Oatmeal with bananas, seasonal berries, walnuts, raisins topped with cinnamon sugar and maple syrup. Served with maple syrup and powdered sugar. Fresh strawberries and bananas, maple syrup and powdered sugar. Three pancakes served with maple syrup and powdered sugar. Brioche toast with cinnamon sugar and seasonal berries. Served with Maple syrup and powdered sugar. Sweet crêpe with blond sugar and butter. Sweet crêpe with fresh lemon juice and blond sugar topped with powdered sugar. Sweet crêpe with Italian hazelnut spread or with Ghiardelli dark chocolate sauce. Sweet crêpe with cinnamon sugar and organic apple sauce. Served with a side of whipped cream. Savory crêpe with ham and Emmenthaler cheese. Fresh tomato, basil and mozzarella, topped with arugula, shaved Italian Parmesan, imported Italian white truffle oil and balsamic glaze. Spinach, grape tomatoes, basil, caramelized onions, portobello mushrooms and feta cheese. Crumbled goat cheese, apples, cranberries and walnuts with mixed greens, a drizzle of olive oil and balsamic glaze. Racette cheese with Speck Alto Agio and chopped corichon. Served with a mixed green salad and Dijon dressing on the side. French ham, Brie or Emmenthaler cheese, Dijonnaise and cornichon. Prosciutto di Parma, imported Parmesan cheese, tomatoes, arugula, extra virgin olive oil and imported balsamic glaze. Organic in house oven roasted turkey, tomato, arugula, Emmenthaler cheese and Dijonnaise. Chicken breast, red seedless grapes, fresh tarragon, walnuts, celery, fresh scallions and light mayonnaise, sliced apples and mixed greens. Sliced avocado, feta cheese, sliced tomatoes, arugula, olive oil, freshly ground pepper and balsamic glaze on a slice of toasted multigrain bread. Grilled cheese sandwich with Cabot cheddar. With a sliced banana on the side. Sliced chicken breast with Vermont cheddar, avocado, tomato, bacon and our home made ranch dressing. Sliced chicken breast, balsamic glaze, walnut pesto, roasted red peppers, gruyere and arugula. Tomato, fresh mozzarella, prosciutto, arugula, our homemade walnut pesto sauce and balsamic glaze. Raclette and Brie cheese with fig paste and truffle oil on sourdough toast. Freshly grilled eggplant and zucchini, basil, roasted red peppers, arugula, fresh mozzarella cheese and balsamic glaze. French ham, melted Emmenthaler and homemade Béchamel sauce on sourdough bread. House oven roasted chicken breast, grape tomatoes, avocado, shredded parmesan, walnuts over mixed greens. Served with our balsamic dressing. Seared Bucheron goat cheese, walnuts, grape tomatoes, English cucumbers, bacon bits over romaine lettuce. Served with our Dijon dressing. Crumbled French blue cheese, walnuts, apples, cranberries and sliced avocado over mixed greens. Served with our Tarragon dressing. Scoop of Chicken Waldorf Salad (Chicken breast, red seedless grapes, fresh tarragon, walnuts, celery, fresh scallions and light mayonnaise); Over mixed greens, cucumber, sliced apple and grape tomatoes. Served with our Tarragon dressing. Roasted beets, roasted carrots, and arugula topped with warmed goat cheese and candied pecans. Served with olive oil and red wine vinegar, topped with balsamic glaze. Scoop of Albacore tuna salad (with capers, onions, and light mayonnaise). Served over mixed greens with a sliced hard boiled egg, chopped Kalamata olives, grape tomatoes and cucumber slices. Served with our Dijon dressing. See Specials Board for selection. Served with side salad of mixed greens, tomatoes, cucumbers, cranberries, walnuts and Dijon dressing. 1/2 sandwich - Choice of Parisian, Simply Turkey, Albacore Tuna Salad or Chicken Waldorf Salad. See Specials Board for selection. Quiche individual served with side salad of mixed greens, tomatoes, cucumbers, cranberries, walnuts and Dijon dressing. Changes daily, see special board. Served with baguette and butter. Changes daily, see specials board. Served with a garnish. Auray Gourmet is a gourmet cheese shop located in Larchmont, N.Y. Come see our selection of more than 150 fine cheeses from around the world. 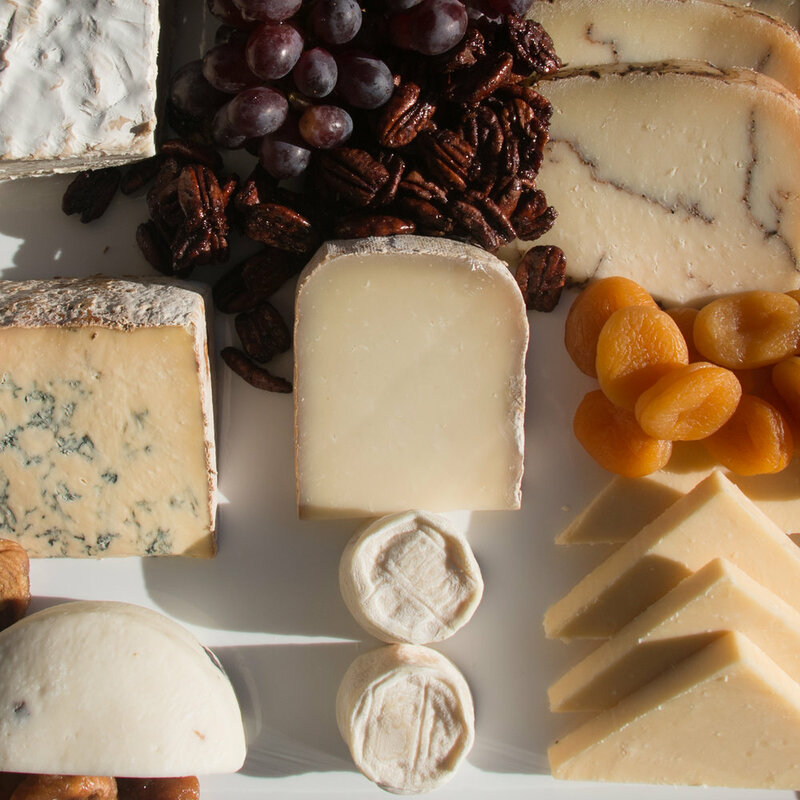 Our cases are filled with all of your favorite cheeses. For over 10 years, Auray Gourmet has set the standard for fine catering and event services in Larchmont, N.Y. and surrounding areas. Come experience our stunning decor, from special lighting, unique flooring, and Parisian cafe tables and chairs for your special event.